PostScript Comic » That’s a wrap! Thank you to everyone who stopped by our booth at FanExpo this year. 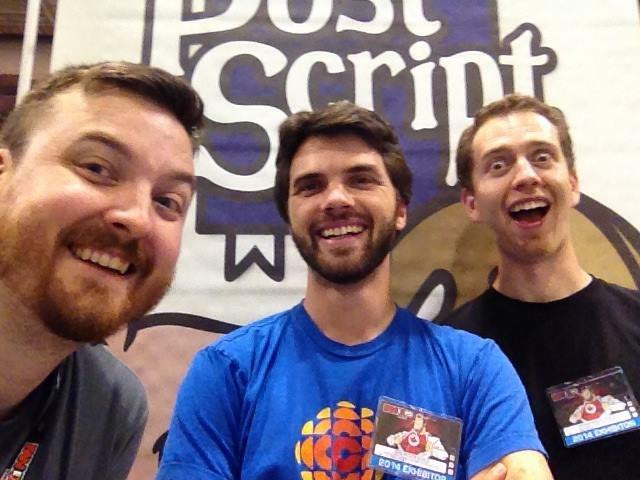 We had a fantastic time meeting existing fans and introducing soon-to-be fans to the world of PostScript. We have since returned home to unpack, relax, cuddle our loved ones big and small, and get back to making comics. Above you can see Luke (Stunt Double), Neal (The Man Soon to Be U.N.C.L.E.) and Graham (The Giver of Life).